You can't shoot what you can't see! Have you ever been on the field when your rental goggle fogs up? Not very fun, huh? 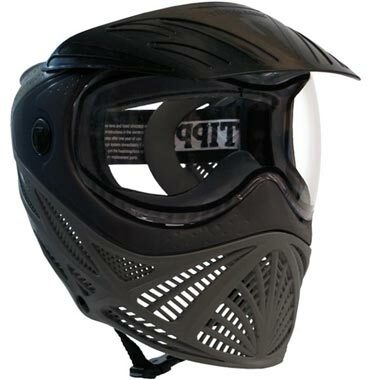 The Tippmann Intrepid Thermal Paintball Mask is your next step to visibility on the paintball field. The Tippmann Intrepid Goggle is engineered to provide the player with clear vision, safety, and comfort at an affordable price. The heart of the Intrepid is a dual pane thermal lens. The inner and outer lenses combine efficiently prevent lens fog in all but the most humid situations. Tippmann's curved lens delivers a clear unobstructed horizontal and vertical view for the ultimate in on-field observation. This lens has a secure quick release system for easy and fast cleaning between games. The Intrepid offers good overall coverage with a soft lower section for conforming to a shoulder stock and encouraging comfort and bounce. Triple layer open cell foam means long comfortable wear while the silicone beaded strap stays put where it's adjusted. 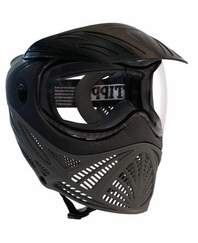 The Tippmann Intrepid Paintball Goggle keeps your head... and your eyes... in the game!